Dating back hundreds of years to mark the beginning of Lent, Carnival is a time of eating, drinking and merriment, usually accompanied by a huge parade combining elements of a circus, masks and social satire. Celebrating Carnival in Singapore may not be common, but one of our best known German establishments is about to party it up in style. Come 25th February to 5th March 2019, Brotzeit will be introducing the traditional flavours and Gemütlichkeit (a feeling of warmth, friendliness, and good cheer) of Carnival to Singapore. While there won’t be a parade, you can expect Brotzeit to know how to celebrate fully by being the only German establishment in Singapore to be bringing in Carnival’s official beer all the way from Cologne, Germany: traditional Carnival Sion Kölsch on tap, exclusively available to Brotzeit only during this season of celebration. A light and crisp speciality beer from Cologne with a slight herbal bitterness and a sweet grainy pale malt, this spritzy Kölsch has a dry, refreshing finish with hints of citrus and freshly cut grass. 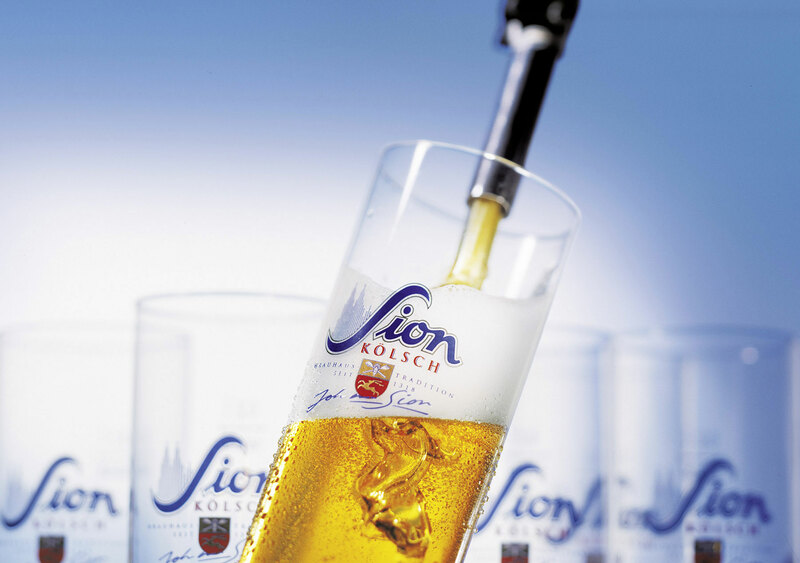 Following strict Cologne beer-drinking traditions, Brotzeit will also be serving their draft Sion Kölsch in short, cylindrical 200-milliliter glasses. 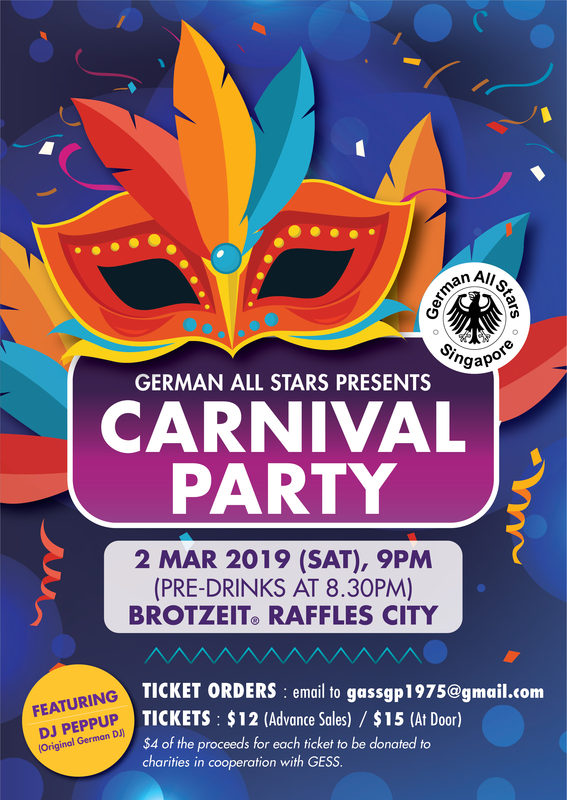 The Carnival party itself will be held at their Raffles City outlet on 2nd March 2019 from 9pm till late, with a repertoire from renowned German DJ Peppup (former music director at hit Bavarian radio station Antenne Bayern) for revellers to party to. Joining guests will be members of the German All Stars Singapore Football Club, and can be purchased online or at the door. Expect to try Sion Kölsch beer, as well as fill yourself with traditional favourites such as the Currywurst ($10) and Bavarian Brezn (Bavarian pretzels – 3 for $10, 5 for $15). Come dressed in your most outrageous Carnival costumes – two winners of the Best Dressed Contest will walk away with $100 worth of Brotzeit vouchers. What better way to celebrate Germany and German culture this March than at Carnival at Brotzeit?